This challenge cache has been placed to celebrate hippihiiri's 10 year geocaching career! Cache is in a national park. Please observe the regulations. Check out the website for information on nature, trails, services, instructions, rules etc. The challenge is to form the word hippihiiri using the first letter of caches you find during a single 24 hour day, therefore a minimum of 10 caches are needed to complete the challenge. - You can find the caches in any order. - The first letter can be either in upper or lower case. - Only the first symbol of cache name counts. E.g. _h is not same as h.
- If you cross a timezone, the time expires when the day changes in the zone where you picked the first letter for hippihiiri. 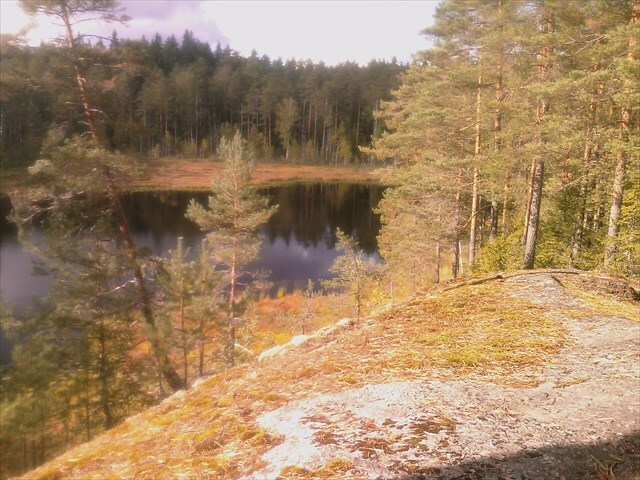 The cache is placed at listed coordinates near lake Mustalampi. Kätkö sijaitsee Nuuksion kansallispuistossa, joten Metsähallituksen ohjeiden mukaisesti siitä on ilmoitettu Etelä-Suomen luontopalveluihin. Lisätietoja kansallispuiston luonnosta, reiteistä, palveluista, ohjeista, säännöistä jne. tarjoaa mainio luontoon.fi -palvelu.